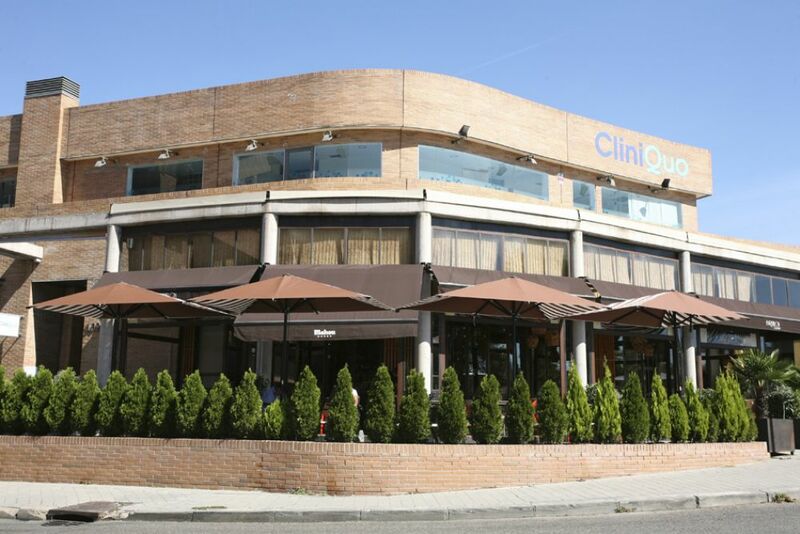 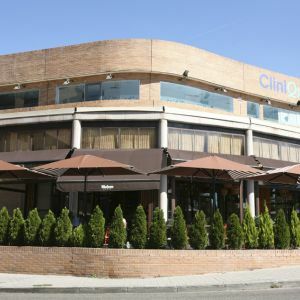 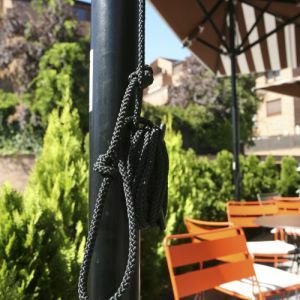 The Barbillón Oyster Restaurant, with high ceilings and a style at once warm and modern, is located in the north of Madrid, specifically on the Avenida de Valdemarín. 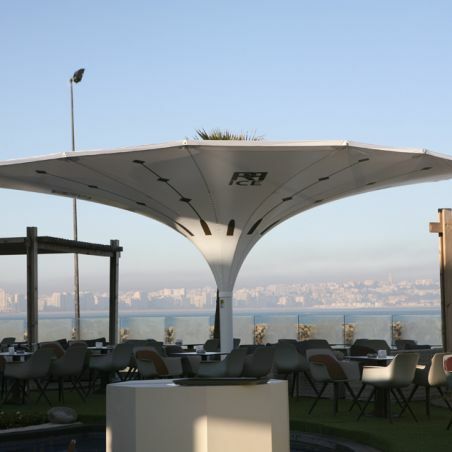 To meet the need of covering a curved terrace area without fixing anything to the floor, the Ibiza D (offset) model of parasol was proposed. 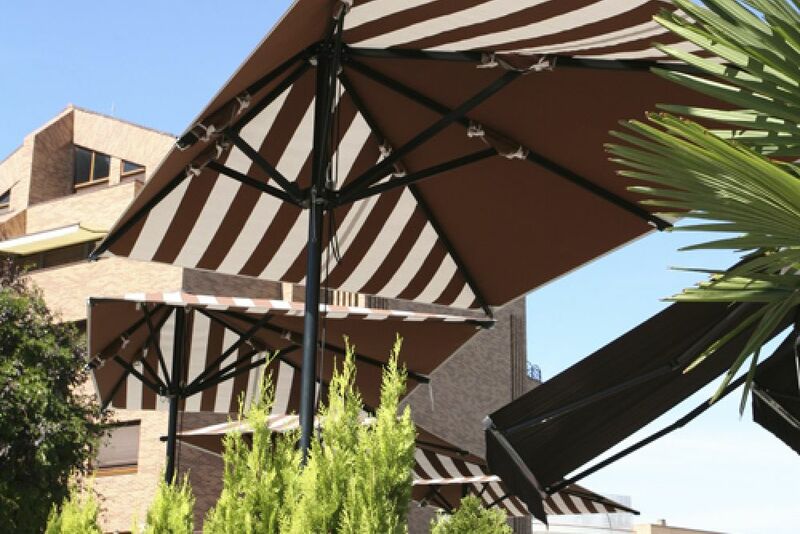 The Ibiza D (offset) parasols have been installed on the terrace of the Barbillón Oyster hotel restaurant, since this is a zone requiring a reliable and durable product, being as it is a space exposed to the wind. 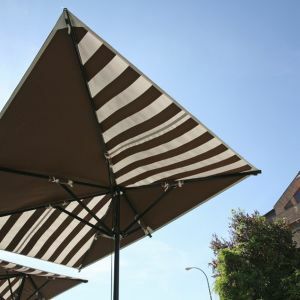 A two-colour design has been chosen, playing with brown stripes and smooths to invoke difference from other restaurants and follow the design of the premises. 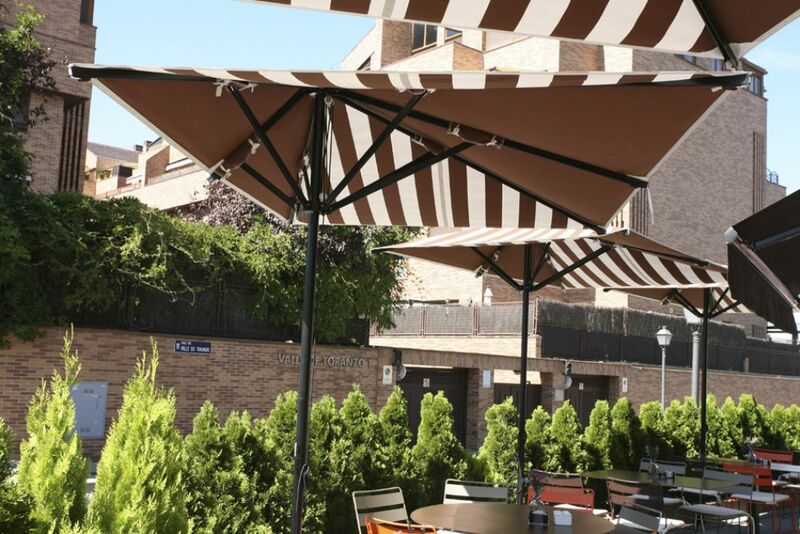 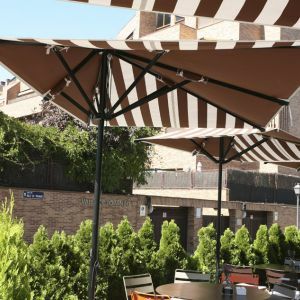 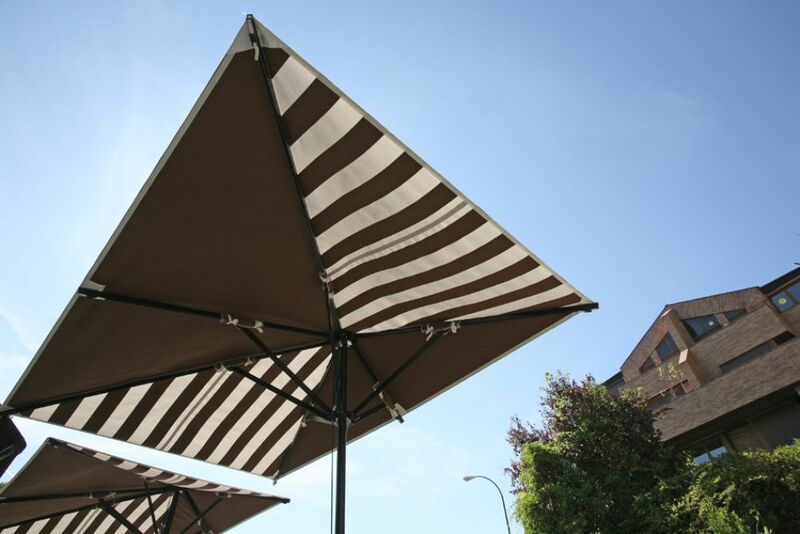 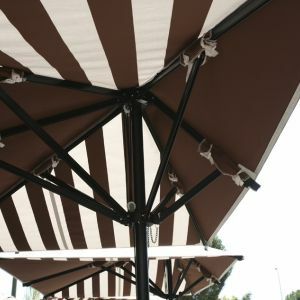 In line with the architectural studio Foxium Madrid, it was decided to install an offset parasol which would allow for a greater useful surface area of tables and not interfere with the passage of staff and customers. 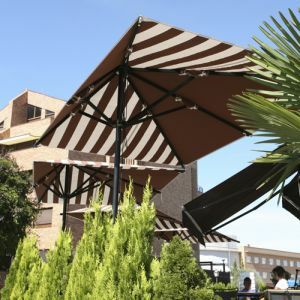 Due to the condition of not being able to fix any object to the floor, we opted to take advantage of the planter separating the terrace from the street and anchor the parasols in it vertically, using a special support for this purpose. 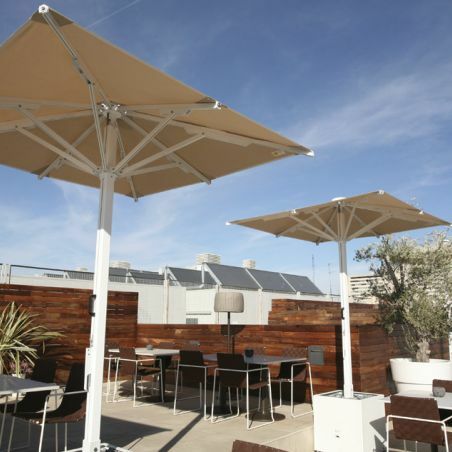 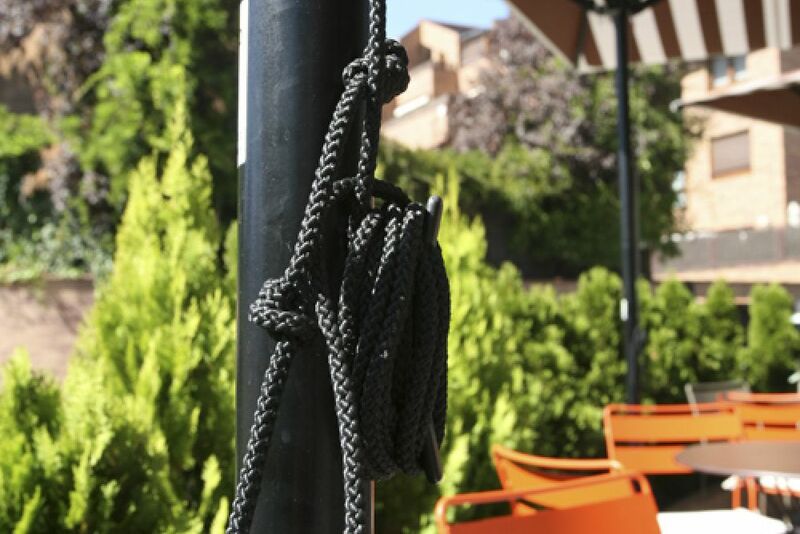 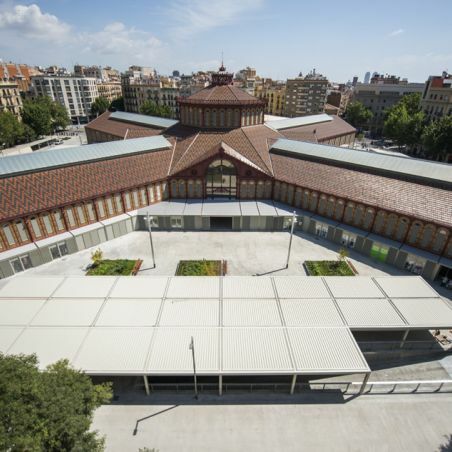 The parasol is composed of an aluminium structure and is opened with a rope and pulley. 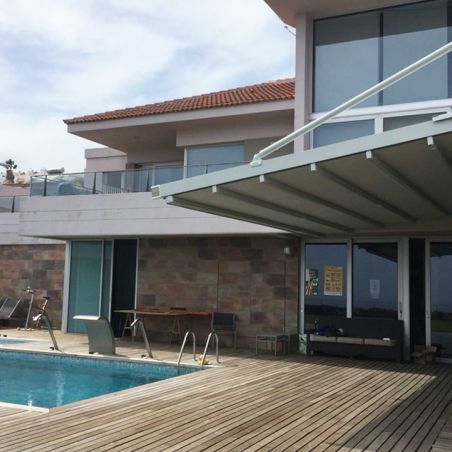 It consists of 6 aluminium bars which join onto the one-piece post of diameter 50 mm. 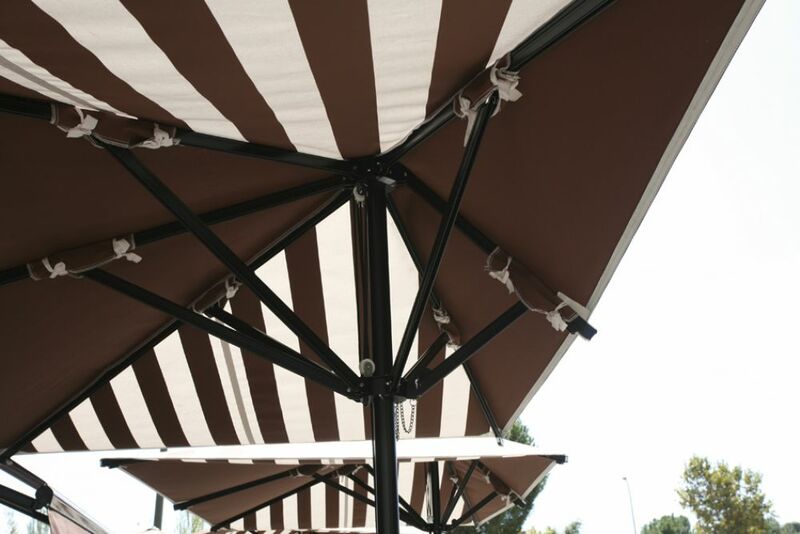 Thanks to its main characteristic of being offset, this parasol takes advantage of corners which would normally remain uncovered.